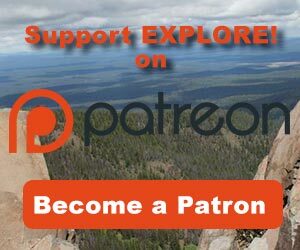 Outdoor News May 4, 2018 - Explore! 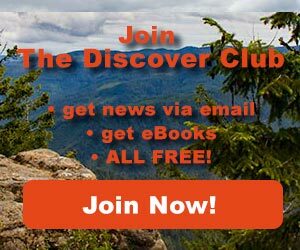 Outdoor News May 4, 2018 - Explore! 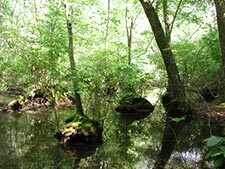 Delaware’s Department of Natural Resources and Environmental Control is celebrating May as American Wetlands Month with a variety of activities to honor wetlands as an important natural resource that plays key roles in protecting Delawareans from storms and flooding and providing habitat for wildlife. The agency will highlight wetlands by hosting a family event, releasing a new wetland video, and posting wetlands trivia and stories online. To kick off the month, the 2nd Annual Wetlands Celebration will be held in conjunction with the 15th Annual Get in Gear Family Bike Rallyfrom 9 a.m. to 2 p.m. Saturday, May 5 (tomorrow) at Trap Pond State Park in Laurel. These two events have joined together to provide fun and engaging entertainment for the whole family that brings awareness to Delmarva’s wetlands and the critters that inhabit them, as well as offering a unique mix of outdoor recreation, science, art, and history. Run by Trap Pond Partners, the Get in Gear Family Bike Rally starts at 10:30 a.m. and will traverse the perimeter of Trap Pond. Registration for the Bike Rally is $10 per person or $25 per family, and it is requested that you bring your own bike. All funds go to support Trap Pond State Park. To register or to get more information about the event, please visit the Wetlands Celebration website. Park admission will be covered by the Bike Rally entry fee, or by mentioning the Wetlands Celebration at the fee booth; the first 150 cars that go through the booth also will receive free park admission. This outdoor event is rain or shine, but some of the day’s activities are weather-permitting. The Oregon Tourism Commission (dba Travel Oregon) announced the recipients of the 2017 Oregon Travel and Tourism Industry Achievement Awards, presented at the 2018 Oregon Governor’s Conference on Tourism in Bend, Oregon, on Monday. The state’s most prized recognition is the Oregon Governor’s Tourism Award. This year, Alana Hughson, who has led the Central Oregon Visitors Association for the past 25 years was honored for her incredible leadership. Alana has been able to unify the communities in the region under one Regional Destination Management Organization umbrella. The Gene Leo Memorial Sustainable Tourism Award was presented to Jon Tullis, a planner, Forest Service liaison, special events coordinator, spokesperson, governmental affairs manager, and all-around advocate for the National Historic Landmark Timberline Lodge for more than three decades. 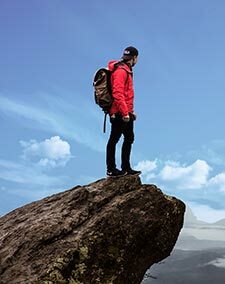 The Oregon Tourism Development Award acknowledges the creation of an innovative program, promotion or product utilizing best practices, sustainability and creative problem-solving. This year’s award was presented to the Oregon Timber Trail Alliance. This epic 670-mile backcountry mountain bike route spans Oregon’s diverse landscapes from California to the Columbia River Gorge. The trail traverses a variety of landscapes, communities, ecosystems, terrain, and, most importantly, mountain bike trails. Divided into four unique tiers, the trail is approachable by a wide variety of cyclists. What sets it apart is that it’s designed with mountain biking in mind and consists of more than 50 percent singletrack trails. The International Sales and Development Award recognizes excellence in creative sales, marketing and development of Oregon as a destination in the international marketplace. The award was given to Travel Portland for their work to bring the No. 1 reality show in The Netherlands to Oregon. Wie is de Mol? (Who is The Mole? ), is a popular show that filmed their 2017 series in Oregon – the first time the show was filmed in the United States. Individual episodes highlighted more than five regions across the state and was seen by nearly 41 million people, helping Travel Portland raise awareness of Portland and Oregon as a premier vacation destination for the Dutch traveler. The Outstanding Oregon PR Program Award celebrates the best domestic PR program that resulted in quality earned media coverage and inspired travel to Oregon. The Oregon Department of Transportation (ODOT) received the award for its outstanding planning, communication and response to the 2017 Solar Eclipse. The Oregon Outstanding Advertising Award commends superior, creative advertising communication, regardless of budget size or medium. The award was presented to Union County Chamber of Commerce for their simple idea: To highlight what Union County has to offer. The result? A breathtaking and beautiful video series, “You’ll See Union County,” designed as a social media campaign to drum up county spirit and inspire people to visit. The video series had more than 100,000 views. Union County will use these commercials for years to come to entice visitors to spend time in the area. This week, through Sunday, is screen-free week.Thousands of schools, libraries, and community groups nationwide are working in a coordinated effort to encourage millions of Americans to turn off televisions, smartphones, tablets, and gaming consoles for the week and turn on the world around them. Screen-Free Week is a chance for children to read, play, think, create, be more physically active, and to spend more time with friends and family. LITTLE ROCK, Ark. 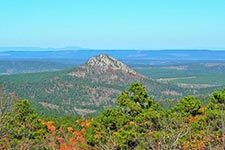 April 30, 2018 – Conservationists are praising a measure designed to expand the Flatside Wilderness area of the Ouachita National Forest in Central Arkansas. Congressman French Hill has filed legislation that would increase the 9,500-acre wilderness area by an additional 640 acres this year, and possibly more in the future. Brett Kincaid, the executive director of Audubon Arkansas, says it’s the first attempt to expand the preserve since it was created in 1984. The bill reflects two years of work among advocates, elected officials, The Nature Conservancy, the Arkansas Forestry Commission, and Arkansas Game and Fish. Kincaid says it would protect some of the most rugged places left in Arkansas, including black bear and wild turkey habitat, and more completely preserve additional watersheds. Ed Bethune, a former Arkansas congressman who co-sponsored the original bill to designate the wilderness, says the area is a treasure that needs to be protected. Kincaid says the area’s proximity to Little Rock and Hot Springs means that federal protection is needed to preserve it from development. The bill would expand the wilderness area by 640 acres in 2018 and requires an evaluation of adjacent areas of the forest for future expansion. The measure has been referred to the House Committee on Natural Resources. DENVER, CO, May 3, 2018 – More than 90 Colorado businesses sent a letter Thursday urging U.S. Sen. Cory Gardner to support the Continental Divide Recreation, Wilderness and Camp Hale Legacy Act. The measure would protect nearly 100,000 acres of the White River National Forest in Summit and Eagle counties. The bill also would designate Camp Hale, training grounds for the 10th Mountain Division during World War II, as America’s first National Historic Landscape. Critics worry the designations could stifle some kinds of commercial development. Gardner’s office did not respond to a request for comment before deadline. A recent survey from Colorado College found 96 percent of the state’s residents think the outdoor recreation economy is important to Colorado’s economic future, and 87 percent say public lands give the West an economic advantage. Children and Nature Network (C&NN) and the North American Association for Environmental Education (NAAEE), with funding from the Pisces Foundation, recently launched eeRESEARCH. 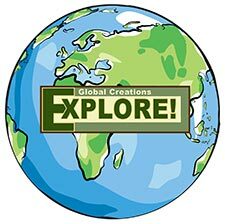 It is a joint research library designed to support and advance the field of environmental education and efforts to connect children to nature around the world. Every day, new and exciting research is published about environmental education and connecting people to nature. Unfortunately, many of these articles, which are full of insights about the field, are hidden behind a firewall and only available to those who have special access. 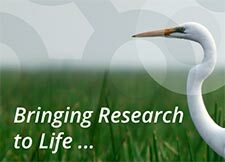 But now, thanks to a generous grant from the Pisces Foundation and support from ee360; NAAEE and C&NN have created eeRESEARCH – an exciting online library of more than 1,000 research summaries and syntheses, as well as a number of open-access articles. Whether you’re a program developer, evaluator, researcher, or funder, you can browse the combined research collections of both NAAEE and C&NN in one user-friendly platform. And for more detailed searches, you can use a variety of tools to narrow your search to the topics, authors, or focus areas that interest you. The goal in creating this library is to help everyone in the field find resources to support their work and to improve the link between research and practice. Anniversary Sale! Up To 85% Off Select Cycling Products, 45% Off Select Bikes, and Up To 80% Off Bike Nashbar Brand at BikeNashbar.com. Plus Daily Giveaways. Deal ends May 13! This week’s video features a section of the Ouachita Trail in Arkansas. It covers about 17 miles in the Flatside Wilderness. The entire 192 mile trail runs from Talimena State Park to Perryville in the Ouachita National Forest. Find maps and details in this Forest Service document.